Wow! We've identified more than 75 brands of vintage steel kitchen cabinets and show many ideas how to use them in your kitchen design. 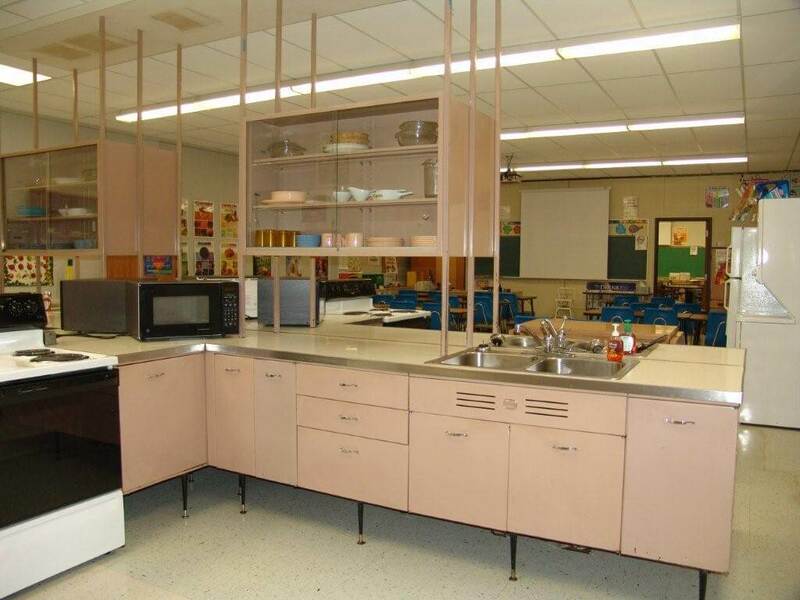 Where to get replacement parts like rollers and hinges for metal kitchen cabinets? Hey John, thanks for the question. Sorry, but am not a hardware person – and man, do I get a lot of questions just like this one. Fortunately, among Retro Renovation Readers we have many bright lights, so Readers: Any idea where John can look for itsy bitsy replacement parts? 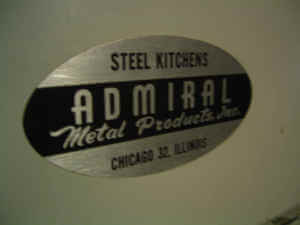 A new steel cabinet brand discovered this weekend! I feel like a giddy archeologist every time a new brand of metal kitchen cabinets surfaces. I did some cleanup and additions to the Forum this long holiday weekend. 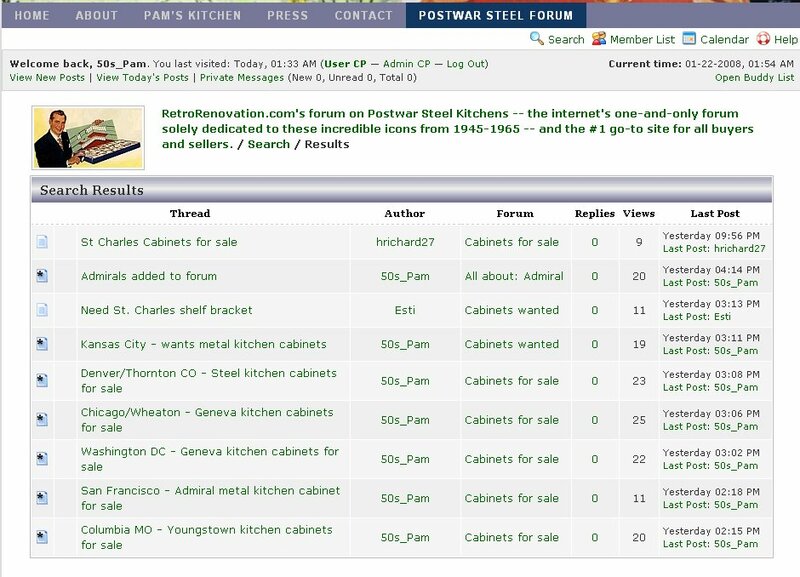 Updated count: 45 distinct brands of steel kitchen cabinets from the 1930s through the 1980s! Admiral brand is the latest, with a lone cabinet just listed in the San Francisco area. Lots of action on the forum in the past 24 hours. Be sure to check every day in the View Today’s Posts section if this topic interests you — going to this spot daily makes it easiest to see the very latest posts with one easy click. And be sure to let our St. Charles hunters know if you have the odds and ends they are looking for. What goes around comes around.